Casino Euro – Daily Deals | Week 6! Don’t miss out on an awesome casino deal, every day of the week! 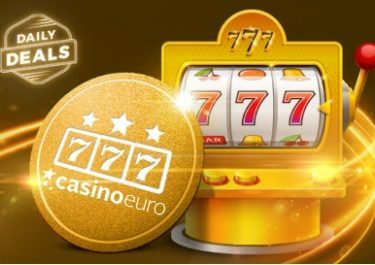 Visit the revamped “Daily Deal” page at Casino Euro this week to discover some great offers that will boost your balance and increase your play time for more chances to hit those monster wins on your favorite games. Pick from a wide selection of Free Spins, bonuses, cash giveaways, competitions and much more. Get started this week with a 50% match bonus on your next deposit of minimum €10. 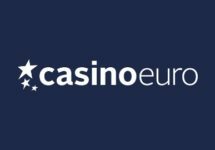 Monday, 5th February 2018: Reload Bonus – Deposit minimum €10 to receive a 50% deposit bonus, up to €15. Wagering requirement is 40x bonus within five days. Tuesday, 6th February 2018: Slot Tournament – Score 1 | 3 | 5 points for every €10 wagered | every Nice Win | every Mega Win on Valley of Gods to place in the TOP100 for bonus prizes ranging from €20 – €500 or 30 Free Spins on the same game, all credited by 15:00 CET on Wednesday. Wagering requirement on bonus prizes is 10x and on FS winnings it is 15x within five days. Players from the UK and Poland are excluded from this tournament. Wednesday, 7th February 2018: Lucky Spin – All players will receive 1 Free Spin on Twin Spin with the TOP3 scoring the highest wins from the spin being rewarded with cash prizes: 1st – €1,000 | 2nd – €250 | 3rd – €100, all credited with no wagering requirement by 15:00 CET on Thursday. Thursday, 8th February 2018: Prize Drop – Spin actively on Book of Dead and you could randomly trigger a prize drop. Available prizes are 5x Bose Speakers SoundTouch 300 and 50x €25 bonus money, credited by 15:00 CET the following day with a 10x wagering requirement. A cash alternative of €250 is available for the Bose Speakers. A in-game tab displays remaining prizes and time. Friday, 9th February 2018: Free Spins – Deposit €15 in a single amount to instantly receive 40 Free Spins on Book of Dead. WR is 15x FS winnings within five days. Saturday, 10th February 2018: Goodie Bag – Deposit €30 in a single amount to instantly receive 20 | 20 Free Spins on Wild Wild West: The Great Train Heist™ | Wolf Cub™. Wagering requirement is 15x FS winnings within five days. 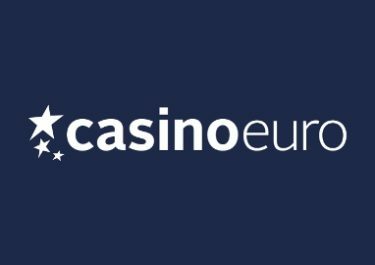 Sunday, 11th February 2018: Live Casino – Wager minimum €25 with cash bets on Dream Catcher to instantly receive 25 Free Spins on Mega Fortune Dreams™. WR is 15x FS winnings within five days. Make sure to OPT-IN first before depositing or starting your play. All bonuses or Free Spins, unless otherwise stated, are instantly credited the soon the conditions are met and are subject to the standard wagering requirements. Minimum deposit for bonuses is €10. 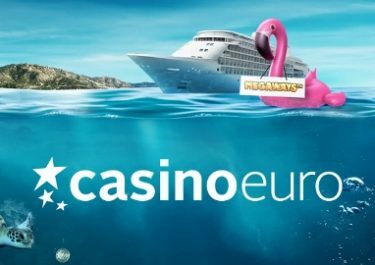 Casino Euro Bonus Terms and Conditions apply to all offers, always read them carefully.